The seating circle with view beyond. 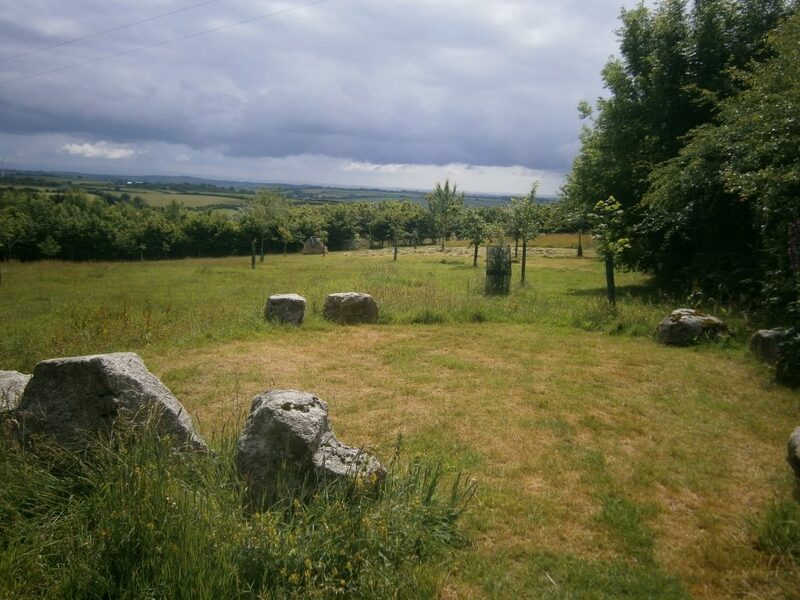 Found on the edge of Bodmin Moor near the village of Pensilva, Pentiddy Natural Burials is a small family-run site which provides a nature-rich, informal environment and an ecological option for burials in South-East Cornwall. The site is gradually being transformed into a woodland of native trees which will be a lasting and living tribute to all who rest here. It is a quiet reflective place surrounded by woodland with much bird life and beautiful views towards Dartmoor and the coast. Membership of the ANBG helps to provide an assurance of quality and best practice as all members are required to comply with the code of conduct. 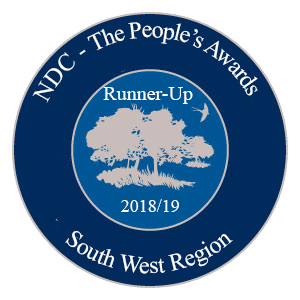 Thanks to feedback sent to the ANBG from families who have chosen our site, we are proud to have been selected as the South West runner-up of The People’s Awards for both 2017 and 2018. This reflects our ongoing commitment to providing a personal and high quality service. 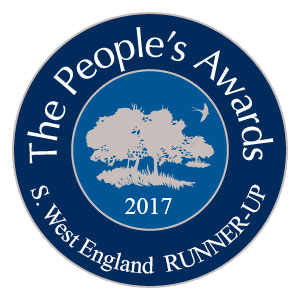 Thank you to all families who have helped us win these awards. The burial site is part of our larger ecological project, Pentiddy Woods, founded in 2002. The project focuses on sustainable woodland practices and low-impact living and has been designed on permaculture principles with its ethics of earth care, people care and fair share. At Pentiddy we live off-grid and demonstrate many examples of alternative and appropriate technology. On either side of the burial site is the Pentiddy Community Woodland (charity no. 1094857) and a newly planted community coppice.